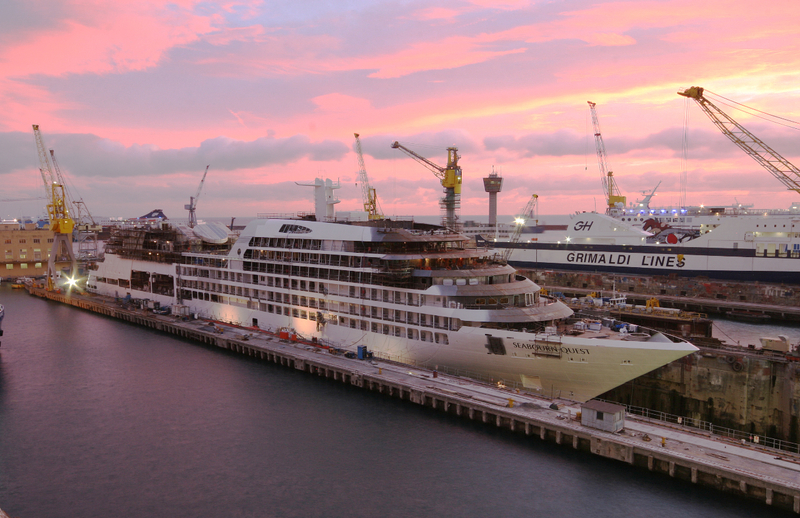 In a little less than four months, Seabourn will be taking delivery of their newest ship, Seabourn Quest, in May. She represents the completion of Seabourn’s three-year fleet expansion, and we are counting down the days until she joins the fleet! We are not the only ones who are highly anticipating her arrival! Seabourn Quest’s pre-inaugural cruises and Maiden voyage are already sold out, with many guests eager to be among the first to sail on her. There is still space available during her maiden season, which includes seven-day Eastern Mediterranean cruises, operating alternately between Athens and Istanbul, and Venice and Athens, as well as a seven-day Black Sea voyage. On 5 January, 2012, Seabourn Quest begins a 109-day World Cruise from Ft. Lauderdale to Venice on a unique eastbound course via South America, South Africa, the Indian Ocean, Southeast Asia, the Middle East, and the Mediterranean. 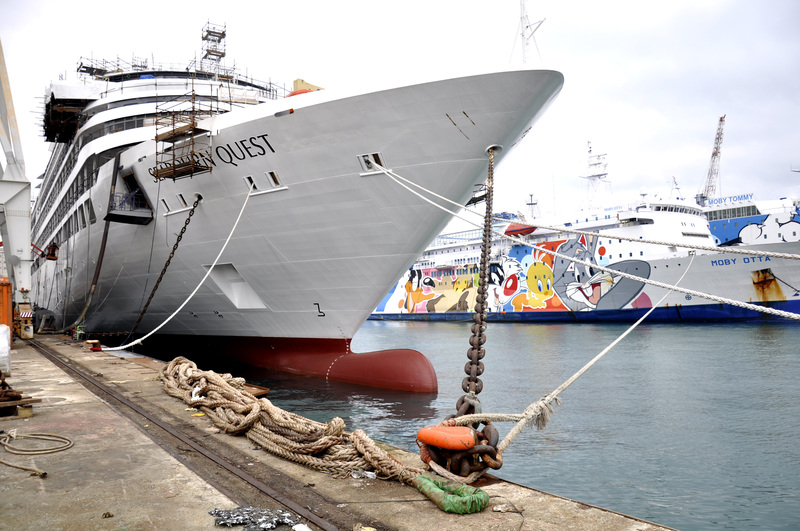 As you can see from the recent photo below, construction is progressing quite well at the Mariotti shipyard in Genoa. We will continue to post more updates and pictures on Seabourn Quest, so stay tuned!